Welcome. 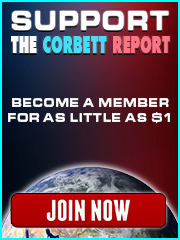 This is James Corbett of corbettreport.com with the last word on snake oil. 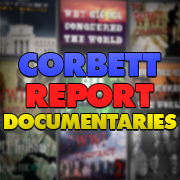 The official histories of the Rockefeller family, many commissioned or approved by the Rockefellers themselves or produced by public television stations owned and managed by family members, downplay the significance of the dynasty’s snake oil lineage. John D., they claim, was the opposite of his father: pious and industrious where his father had been wayward and lazy, philanthropic and generous where his father had been selfish and greedy. In reality, the apple didn’t fall far from the tree and John D. learnt a lot from his father. “Devil Bill,” as the “Celebrated Dr. Bill Levingston” was also known, once bragged that “I cheat my boys every chance I get. I want to make ’em sharp.” The young Rockefeller learnt his lesson well, and by all accounts John was smart, shrewd and possessed of a maturity beyond his years. From his father’s example, he learned how to lie, how to cheat, and how to get away with it, traits that served him well as he rose to become one of the richest men the world has ever known. Like his father, John Davison Rockefeller made his fortune by hocking another type of snake oil. In the early 1860s he built an oil refinery with some business partners in Cleveland. By 1880, Standard Oil was refining 90% of the oil in America, rising on the back of John D.’s deceit, backstabbing and secret deals with the railroad tycoons. With the acute business acumen of a born-and-bred snake oil salesman, Rockefeller became unimaginably wealthy by exerting ruthless control over the oil industry. In those early days, however, oil was refined mainly into kerosene for lighting fuel. It was ubiquitous and a profitable industry to monopolize, but it was hardly central to American society. Indeed, the invention of the light bulb in 1878 and its introduction to American homes threatened the industry itself. It was only the invention and mass production of the horseless carriage, powered by an internal combustion engine running on gasoline, that made oil into the backbone of American society…and the snake oil of the 20th century. In many ways, the “United” in the USA was still more an ideal than a reality at the dawn of the 20th century. The disparate states were separated by huge distances and cross-country travel was still a long and arduous proposition. With the railroad the only reasonable option for traversing the vast expanses of the prairies in a reasonable time, the American frontier was built up around the railroads. By the same token the invention and widespread adoption of the horseless carriage meant that modern America would be built up around the automobile, and it was the 20th century snake oil salesman like the Rockefellers who stood to profit from it. This was not merely a pipe dream. The original Model T could run on either ethanol or gasoline. In 1941, Ford produced a vehicle made of cellulose fibers derived from hemp which ran on hemp ethanol. The dream of an agrarian revival and an alternative to petroleum, however, was soon squelched by the snake oil salesmen, and gasoline became the de facto standard, preserving the mind-boggling fortunes of the oil barons. Similarly, the dream of the electric car was dashed upon the shores of the petroleum industry and the vast resources it was able to expend in suppressing its competition. At the turn of the 20th century, it seemed much more likely that electric cars would be the wave of the future: they accounted for 28% of the cars in the United States in 1900; they required no gear shifting or hand cranking, and had none of the vibration, smell, or noise associated with gasoline-powered cars; and they were relatively affordable. The greater range of gas-powered cars, the discovery of cheap and abundant Texas crude and the mass production of combustion engine vehicles, however, conspired to make sure that the electric car—and the independence from the oil industry it afforded—would never become the standard. That is the sinister turn of the modern snake oil salesmen. They not only try to sell us their phoney cures for our cancers, they give us the cancer itself, the cancer of complete dependence on their system, their resources, their corporations. This is the trick by which John D. and the Rockefeller dynasty and all of their ilk have transformed themselves from two-bit peddlers of phoney cure-alls to multi-trillionaire controllers of our economic reality. But there is something that the modern day snake oil peddlers—the banksters and the oilmen and the multinationals and the globalists and their lackeys in political power—live in constant fear of. It is the same fear that has gripped the heart of every snake oil salesman. The fear that the public will realize that their tonic is useless and their whole show is just a stage act, and the people run them out of town. « BREAKING: Secret FBI Storage Drive to Shield Evidence from FOIA?